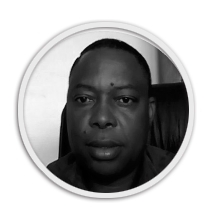 Mr. Habasonda is a prominent expert in the field of analysis and practice in democratic and governance processes. He also has a strong and proven professional expertise in the field of politics, peace, security and conflict management as well as in the field of conflict management, security and transitional justice. He is lecturer at the University of Zambia in the Department of Political and Administrative Studies since 2005,he’s consultant in socio/economic and political issues and also a competent trainer and facilitator in conflict transformation processes, negotiation skills and conflict resolution. Mr. Habasonda holds a MA International and Comparative Legal Studies with distinction from the School of Oriental and African Studies (SOAS) University of London, 2002 and a BA Development Studies and politics, with merit from the University of Zambia, 2000. Habasonda is a member of the National Conflict Management Committee of the Electoral Commission of ZambiaServed as a member of the Electoral Reform Technical Committee (ERTC) which was appointed by the Government of Zambia in August, 2003 to review the electoral system. He is the founder and formerly Executive Director of a local democracy NGO in Zambia- the Southern African Centre for the Constructive Resolution of Disputes (SACCORD) and the current President of Transparency International Chapter in Zambia.